Community opposition to affordable housing is often organized around a short-list of fears – property values will fall, crime will go up, traffic congestion and noise will worsen and the overall desirability of the neighbourhood will decline. The debate over whether or not new affordable housing impacts property values is not new. Research dates back to the 1960s; however, there appears to be no single, unqualified answer to this question. A number of recent studies, for example, have found no negative impact on property values. A 2007 study commissioned by Vancouver Coastal Heath Authority concluded “there is no negative impact on safety or property values in a neighbourhoods when new social housing is opened” (Culbert 2008). In Toronto, a study of two supportive housing projects – one built in the 1980s and the other in the early 2000s – likewise found no negative impact. Property values for both projects paralleled fluctuations in Toronto’s real estate market and did not differ significantly from neighbouring properties (deWolff 2008). Replacement – affordable housing projects that redevelop neglected, physically deteriorating or otherwise vacant properties in disadvantaged neighbourhoods are likely to generate positive impacts on surrounding properties. For example, a Denver study of public housing in deteriorating neighbourhoods found that, upon rehabilitation of these properties, surrounding housing values significantly appreciated due to the visible difference between the quality of the rehabilitated housing and the existing housing in the neighborhood (Santiago, Galster, and Tatian 2001). Scale: Larger affordable housing developments result in positive price impacts for nearby homes, up to a certain point. This may be a factor of the scale and nature of what has been replaced – e.g. larger developments in very disadvantaged neighbourhoods translate into greater elimination of those depressed conditions, as mentioned. However, findings suggest that there may be a threshold in terms of scale. A clustering or “overconcentration” of units in a neighborhood may result in stagnant or declining property values – a trend observed by Lyons and Loveridge (1993) in their study of subsidized housing in Ramsey County, Minnesota. What constitutes this threshold has not been clearly identified, but likely varies by neighbourhood, and the housing appreciation and economic strength of target and regional housing markets (ASU Startdust Centre 2008). Neighbourhood composition is important: Interestingly, affordable housing appears least likely to result in property value decline when it is located within higher-value, low-poverty, stable neighborhoods. Studies in Baltimore and New York demonstrated that affordable housing built in predominantly white middle-income areas had a positive effect on property values (see Galster, Tatian, and Smith 1999; Briggs, Darden, and Aidala 1999). By comparison, new affordable development in low or moderately valued neighbourhoods already experiencing real declines in property value demonstrated adverse impacts (notably, Galster, Tatian, and Smith (1999) suggest that the negative impact may also be attributed, in part, to poor building maintenance and management). Again, in depopulated and/or severely neglected neighbourhoods, new affordable development (replacing derelict or vacant properties) tends to result in property value increase. Quality of design: Studies reveal that high quality design is important for various types of affordable housing (e.g., newly constructed, rehabilitated, and existing) for a number of reasons. Briggs, Darden, and Aidala (1999), for example suggested that attention to the quality and design of new affordable builds may curtail “panic sales” by nearby residents and subsequent deterioration of property values. Cummings and Landis (1993) found that the quality and design of new affordable developments is a stronger predictor of property values that proximity to it. They attribute this to the conscientious effort of the nonprofit builders to design the affordable housing to “match their neighborhoods in terms of size, scale, design, and amenities“ (ibid, p.3). Good management makes a big difference! Sound management of affordable housing can likewise bolster neighbouring property values. This outcome typically occurred in cities with well-established, high quality non-profit organizations. A study by Goetz, Lam, and Heitlinger (1996), for example, found that such non-profits were quicker to respond to community concerns and are more in tune with community needs compared to private developers of subsidized housing or public housing authorities. Many also invest more in creating and maintaining features that benefit the broader neighbourhood than did their for-profit counterparts – sustaining property values over time (ASU Stardust Centre 2008). CCOC, Cahdco and their non-profit partners have a sound reputation for producing high quality supportive, affordable and mixed-income housing, employing state-of-the art physical and environmental design in neighbourhoods throughout the City of Ottawa. For these reasons, new affordable housing development in Ottawa has the potential to boost neighbourhood vitality and livability, improving the value of surrounding properties. ASU Stardust Centre. (2008). 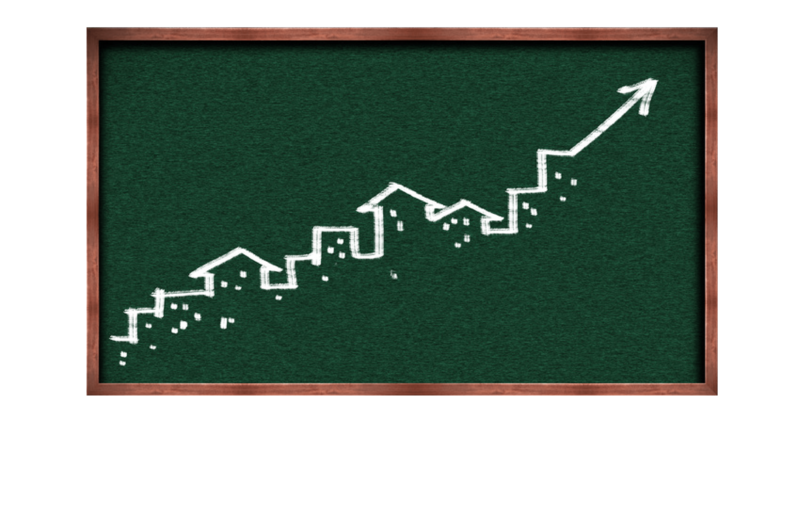 How does Housing Affordability Affect Surrounding Property Values. Research Brief Note No. 1. Phoenix, AZ: Arizona State University. Briggs, X., Darden, J. and Aidala, A. (1999). In the wake of desegregation: Early impacts of scattered-site public housing on neighborhoods in Yonkers, New York. Journal of the American Planning Association 65 (1), p. 27-49. Culbert, L. (2008). Studies Don’t Support Fears of Social Housing. The Vancouver Sun, April 8, 2008. Cummings, P., and Landis, J. (1993). Relationships between affordable housing development and neighboring property values. Working Paper 599. University of California at Berkeley, Institute of Urban and Regional Development. deWolff, A. (2008). We Are the Neighbours: The Impact of Supportive Housing on Community, Social, Economic and Attitude Changes. Toronto, ON: Wellesley Institute. Galster, G. Tatian, P. and Smith, R. (1999). The impact of neighbors who use Section 8 certificates on property values. Housing Policy Debate 10 (4), p. 879-917. Galster, G., Tatian, P., Santiago, A., Pettit, K., & Smith, R. (2003). Why NOT in my back yard? The neighborhood effects of deconcentrating assisted housing. . New Brunswick, NJ, Center for Urban Policy Research, Rutgers University Press. Goetz, E., Lam, H.K. and Heitlinger, A. (1996). There goes the neighborhood? The impact of subsidized multi-family housing on urban neighborhoods. Minneapolis, MS: University of Minnesota, Center for Urban and Regional Affairs. Lyons, R. and Loveridge, S. (1993). An hedonic estimation of the effect of federally subsidized housing on nearby residential property values. Minneapolis, MS: University of Minnesota, Department of Agricultural and Applied Economics. Nguyen, M. (2005). Does affordable housing detrimentally affect property values? A review of the literature. Journal of Planning Literature, 20(1), p.15-26. Santiago, A., Galster, G. and Tatian, P. (2001). Assessing the property value impacts of the dispersed housing subsidy program in Denver. Journal of Policy Analysis and Management, 20 (1), p. 65-88.